If you’re going to be in Prague with somebody special over the next few days, you’re in luck. May 1st is a known internationally as “Labour Day” and it is a national holiday in the Czech Republic, which is a of course great news for those of us who are currently enjoying a long weekend. For many Czech people however, May 1st is also a day to celebrate love and romance. It could be said that it is something like the Czech version of Valentine’s Day. This is of course an English translation from the original version, which was written in Czech. In the district of Malostrana, you will find the gorgeous Petrin Hill. 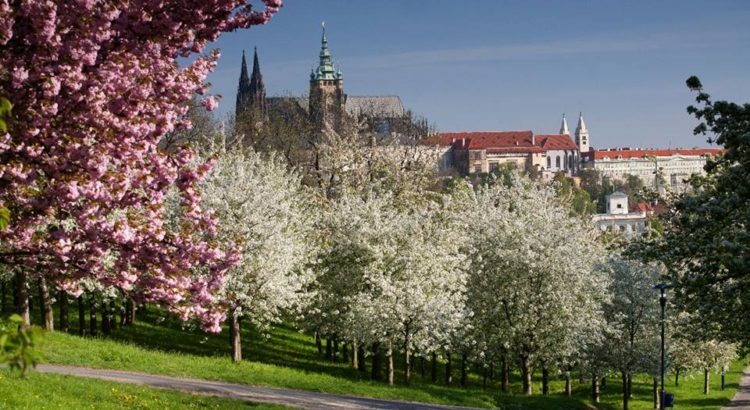 Petrin Hill is well worth a visit at any time of year, but right now it is especially beautiful because its orchard of cherry trees is alive with deep pink blossom. Custom dictates that on May 1st, a girl should be kissed beneath the cherry blossom to ensure that she will remain beautiful for the next 12 months. A slightly more morbid custom claims that any girl who is not kissed beneath the cherry blossom on May 1st will die within 12 months. 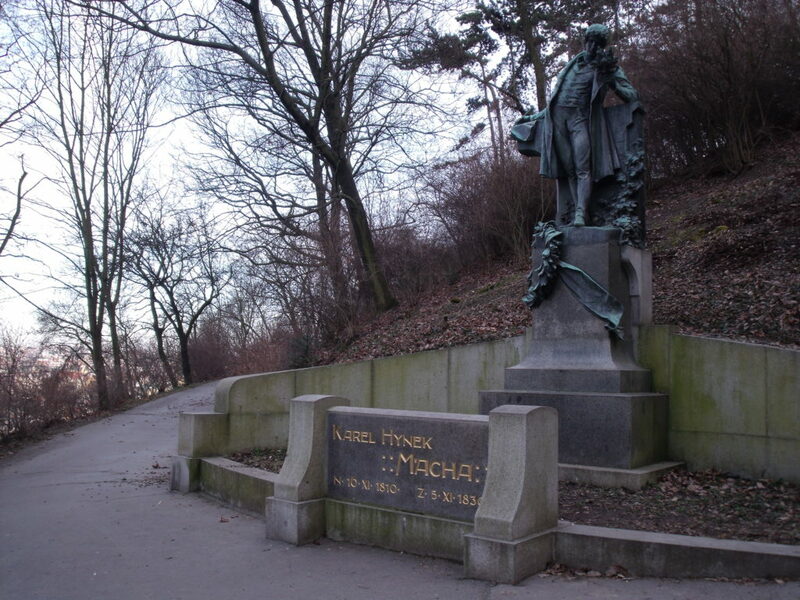 However, my favourite and certainly the most romantic of the customs relates to the statue of Karel Hynek Macha, which is to be found half way up Petrin Hill. The statue perfectly captures a jaunty and youthful sense of playfulness and depicts the poet with a notebook in one hand and a bunch of lilacs in the other. It is said that any couple who shares a kiss in the presence this statue will enjoy a life time of love which is as strong and resilient as the statue itself. So why not embrace your inner romantic celebrate love Czech style on Monday? Petrin Hill can be found right next Ujezd Tram Stop, which you can get to by trams 22, 12, 9, 20, 23 and 15.